In this age of smartphones, fit watches and 4K television, it’s easy to forget that man’s best friend isn’t mechanical at all. Yes, our furry friends, be they Fido or feline, offer something that even the latest cutting-edge tablet technology can’t—an in-person, interspecies connection; a warming glow not produced by the iridescent light of a computer screen. 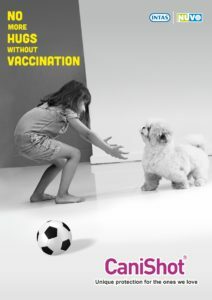 But that’s not to say that dogs and devices never meet. 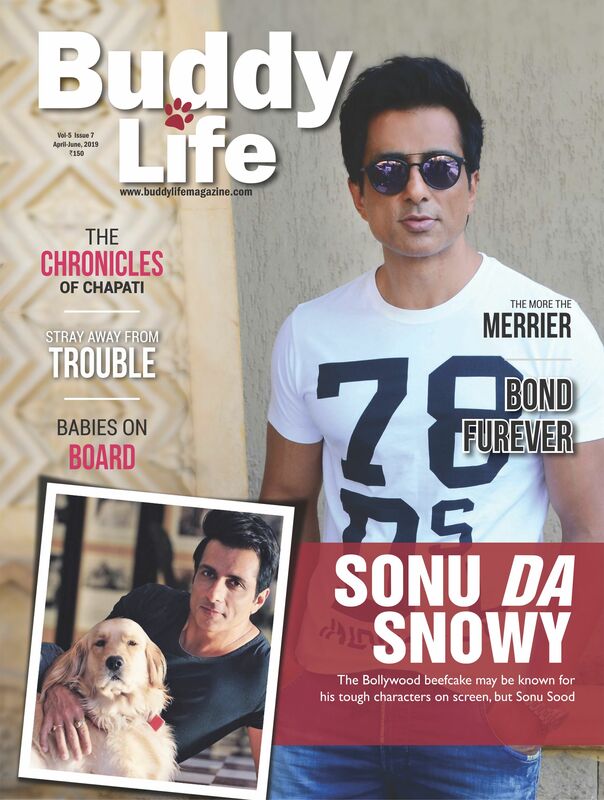 In fact, quite the opposite: Man’s passion for his pawed pals has produced a thriving smart pet product industry. 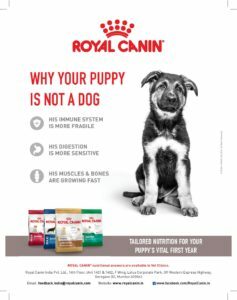 Below, we highlight a few clever products that enable owners to make the most of the relationships with their four-legged friends. A tricky, and heart-tugging, aspect of dog ownership is making sure that your canine companion is actively engaged and entertained, and not a whimpering pile of waiting, while you are away at work. Fortunately, pet-owning programmers have tackled this issue with aplomb. When you can’t be home with your pet, keeping an eye on them remotely is the next best thing. Most home automation and security systems can incorporate cameras, which are the perfect way to make sure Fido stays out of trouble when you’re not there. In addition to checking in, some pet-oriented cameras allow for interaction so you can talk to your pet and let them know you love them when you have to stay late at the office. You can watch to see if they are displaying symptoms of illness or depression. Also, if you have more than one pet, you can watch to make sure they get along during the day, to ensure that one isn’t being abused. First up is the Furbo ($242), a treat-tossing, camera-equipped smart speaker. 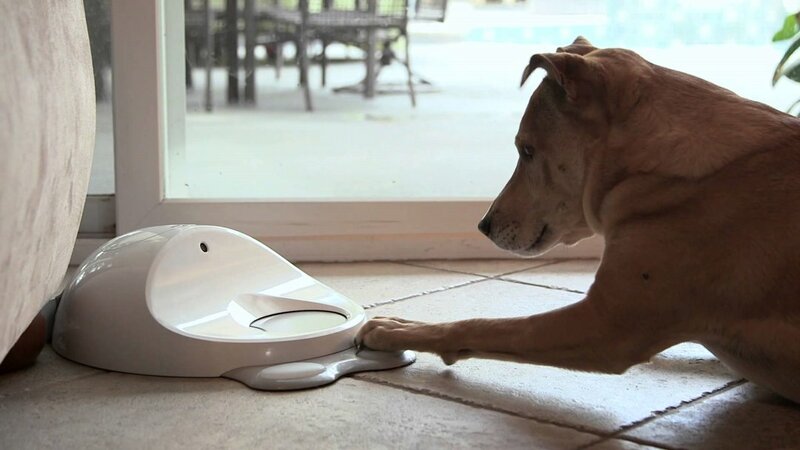 Operable from anywhere in the world via an accompanying iOS/Android app, the Furbo gives you a window into your dog’s day alone with live streaming video—but it doesn’t stop there. 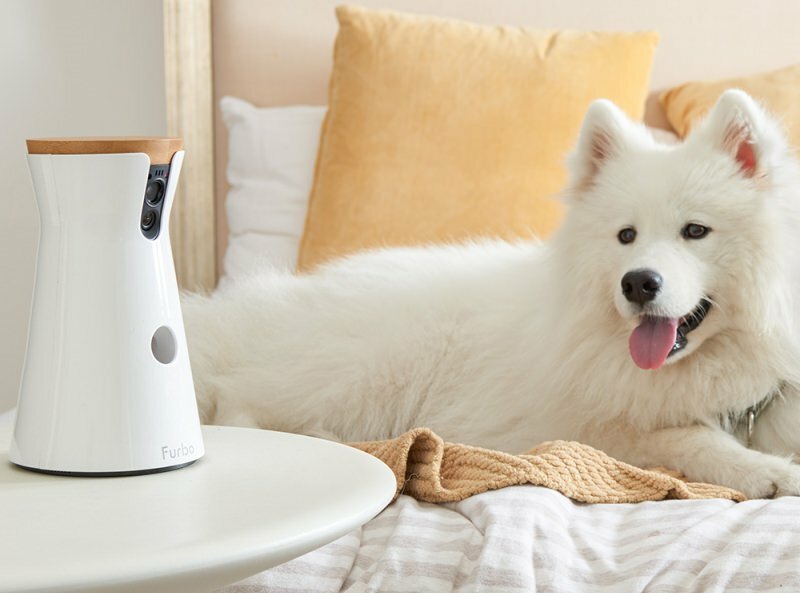 Users can speak directly to their pup with the devices speaker capabilities and, better yet, fling Fido snacks from the Furbo’s built-in dog treat dispenser. 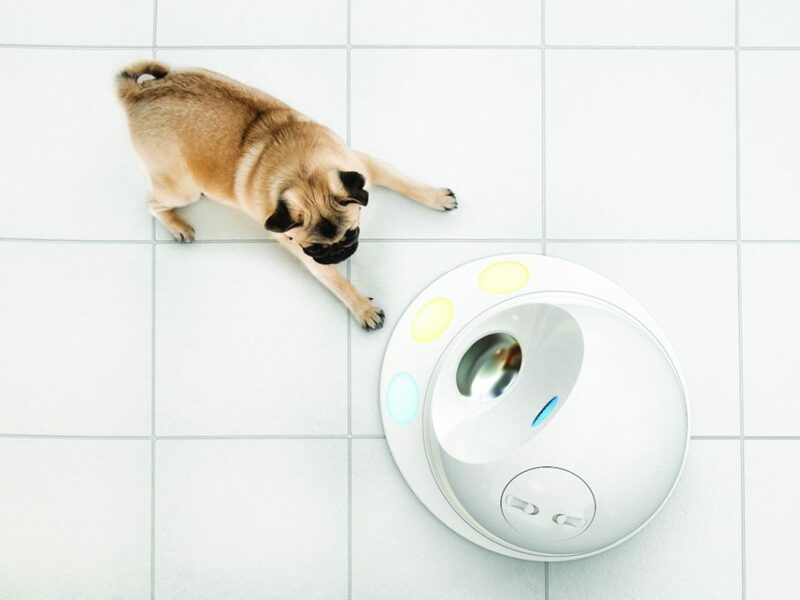 For those who can’t spare a moment of their work day to check in on home-bound hound, there’s CleverPet ($299). Think of it as Sudoku for Snoopy. Offering a series of puzzles designed by dog-loving neuroscientists, the semi-domed device promises to keep your furry friend’s synapses firing while you’re away with skill-level appropriate challenges. You can keep apprised of your dog’s advancement via CleverPet’s app and add new puzzles to their repertoire as they become available. Of course, sometimes all a solitary dog needs to be happy is an opportunity to stretch their legs. And for that there is the simple, and undoubtedly satisfying, iFetch Interactive Dog Ball Launcher ($40-$200, depending on size). 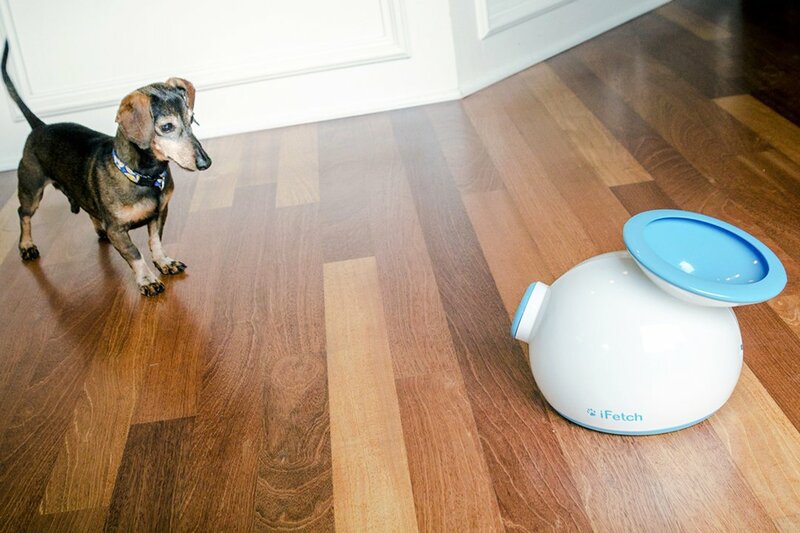 With a variety of models suited to different dog sizes, the iFetch offers the active pooch all they’ve ever wanted from the world—an eternal game of fetch. Imagine a Saturday morning. You are lying in bed with your cat or dog, or 3, and the inevitable time rolls around and then comes the “look.” The look that says, “Mom/Dad, I’m so very hungry and I know you’ll need to get out of bed and that coffee is only half done, but did I mention, I’M HUNGRY? !” Now, imagine, hearing the feeder go off in the other room, calling your hungry pet over to chow down while you stay put and finish that coffee while it’s still hot. Need we say more? 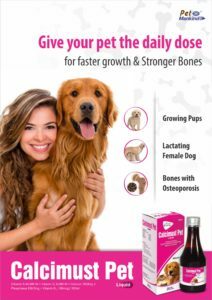 The essential duty of feeding our four-legged fellows can be onerous for the pet owner on-the-go as well. Fortunately, there is the Feed and Go Pet Feeder ($199). 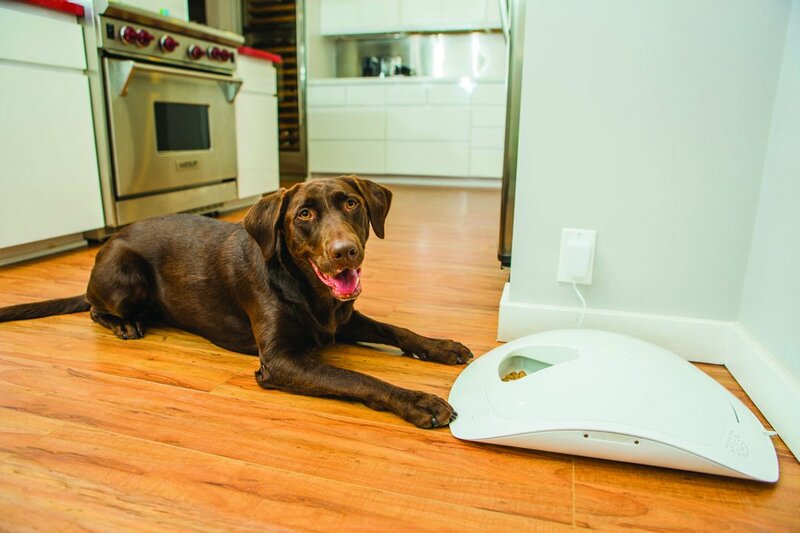 The first automated pet feeder that can handle dry and wet food, as well as treats and medication, the Feed and Go allows users to schedule feedings or set up one-off meals from smartphone, tablet or computer. 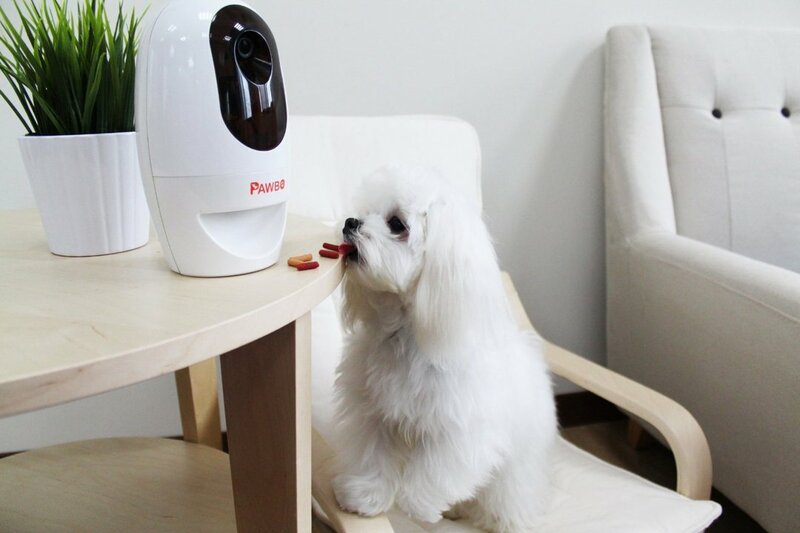 Additionally, the Wi-Fi-equipped device features a webcam and an audio recorder so you can leave a message for your pet and have your voice call them to dinner.